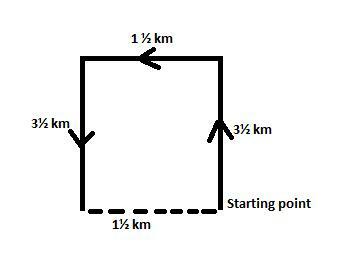 A man walks 7 miles eastwards, turns right and travels 3 miles and further turns and travels 11 miles. How far is he from the starting point? 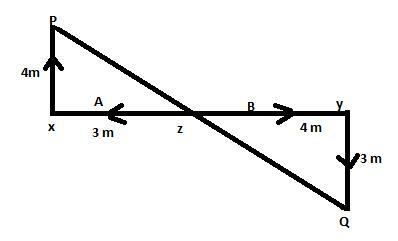 A and B start walking in opposite directions. A covers 3 miles and b 4 miles. Then A turns right walks 4 miles and B turns left and walks 3 miles. 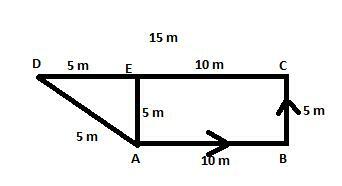 How far each is form the starting point? Ravi went 10 m to the east, then turned north and walked another 5m. Then he turned west and covered 15m. How far is he from the starting point? 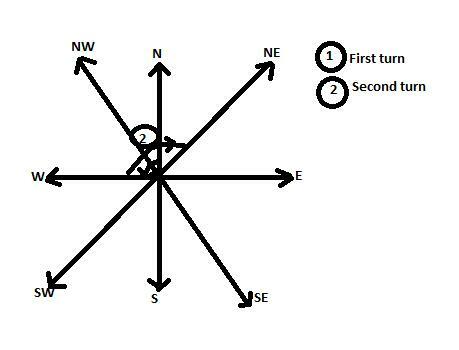 Mr. X travels towards north 3½ kms. 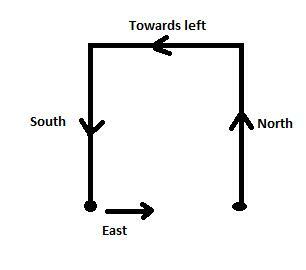 Then he turns left and travels towards west for 1½ kms, then turns left and travels for 3½ kms. How far is he from the starting point? You have started from a place. After walking for a kilometre. you turn to the left. Then walking for half a km you again turn to the left. You are going eastwards. In what direction did you originally start? A man starts from a point, walks 4 miles north, turns to his right and walks 2 miles, again turns to his right and walk 2 miles. In which direction would he be now? 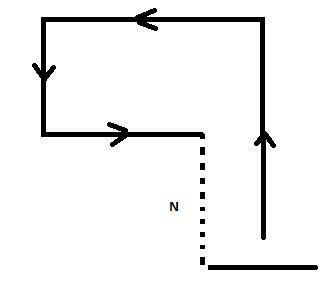 If Ahmed travels towards North from his house, then to left, then to South, covering equal distance in each direction to reach Sohan's house, then in which direction is Ahmed's house now? laxman went 15 km towards north. Then he turned west and covered 10 km. Then the turned south and covered 5 km. Finally turning towards east, he covered 10 km. In which direction is he from his house? 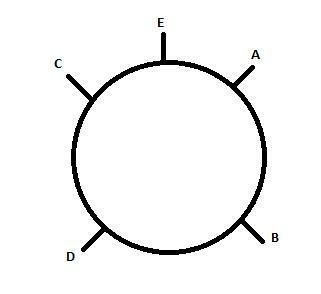 In a panel of five members sitting in a circle facing inward, A is in the middle of B and E,D is to the right of E and to whose left is C. Find the position of B in the panel. a. Immediate left of A and E.
b. Immediate left of D.
c. Immediate rights of A.
d. Immediate rights of C.
A man facing north. 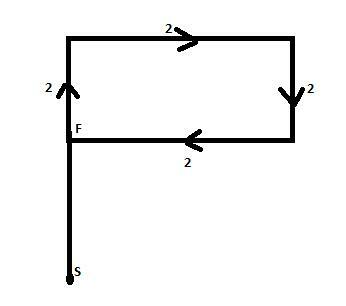 He turns 90° in the anticlockwise direction and then 135° in the clockwise direction. Which direction is he facing now?